Update 1/18/2018: Open house on Saturday, January 20, 2018. Today’s post for preservation month was shared by Jonathan Denson on his Facebook Page Discovering Historic Pittsburgh. If you are interested in historic buildings, the Discovering Historic Pittsburgh Facebook page should be on your radar. Check out some of his recent posts on homes in Titusville and McKeesport. 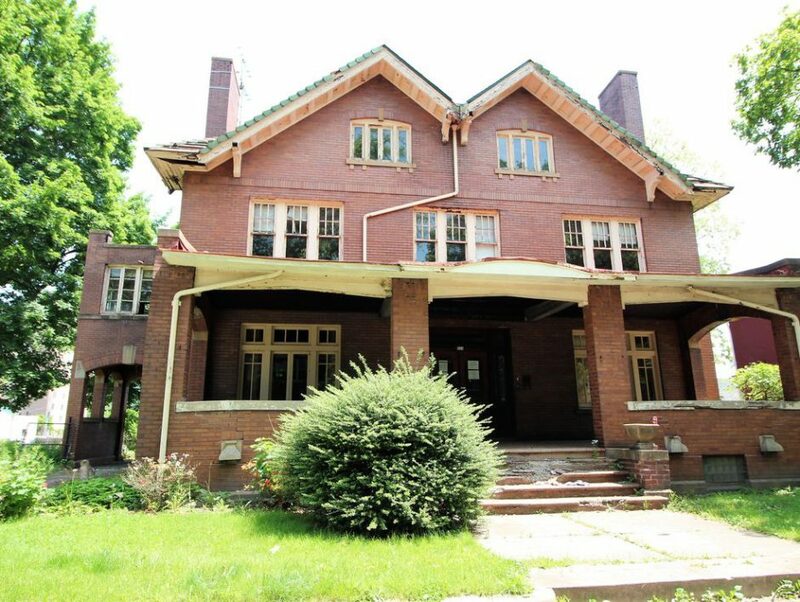 Jonathan shared a link to the post about the Moltrup Steel Mansion on the blog Circa, which is an entire blog about old homes all across the country. I could spend all afternoon browsing through the houses on here. This house was also featured on the Old House Dreams website and there are lots of comments with more history of this house. Here is what I have pieced together about the history of the house and of the Moltrup Steel Company. I was surprised that there is not much information about Molthup Steel on the internet. 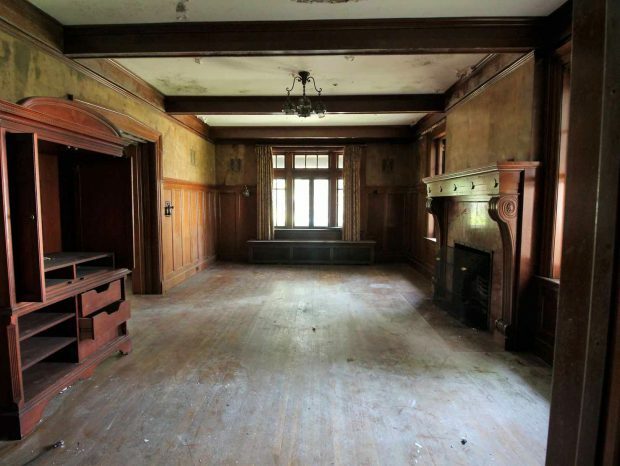 While the house definitely needs a restoration, the woodwork and marble are still in place. The house has 5 bedrooms, 3 bathrooms and a 3 car garage. 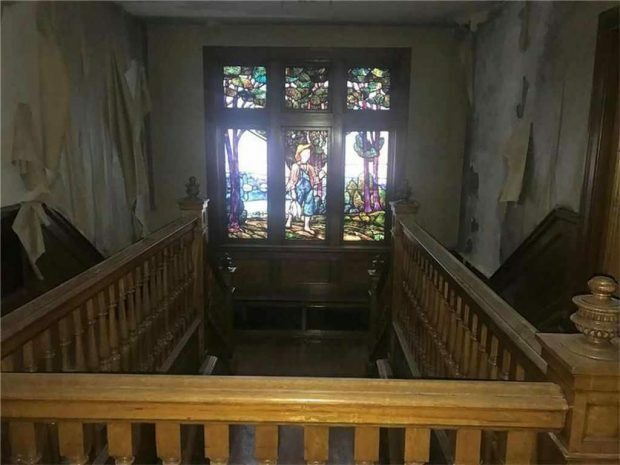 There is a unique stained glass window in the photos, I have already emailed the stained glass experts at Preservation Pittsburgh to see what they know about this window. I was in this house today and it is magnificent! Full disclosure there have been 3 fires in the house and it has severe water damage. Repair estimates are at least $150k-250k. It is a concrete and steel frame but water has wreaked havoc. Still, the woodwork, staircases, and stained glass are in incredible shape. More photos of the house are available on the listing and on the Old House Dreams blog. The Google street view image of the house is dated August 2011 and it looks like the house was lived in at the time, or at least decorated with flags for the holiday. The house is located just a few blocks away from the Beaver River. Visit the listing on Northwood for a virtual tour of the house. Winter got you down? Need to plan trip for some fun in the sun? The Southwest Rapid Rewards Visa can help you get out of town for free!